An Ohio collision repairer reports State Farm is refusing all operations related to the occupant detection system on a 2017 Honda Civic despite a position statement from the OEM requiring work on the safety system. 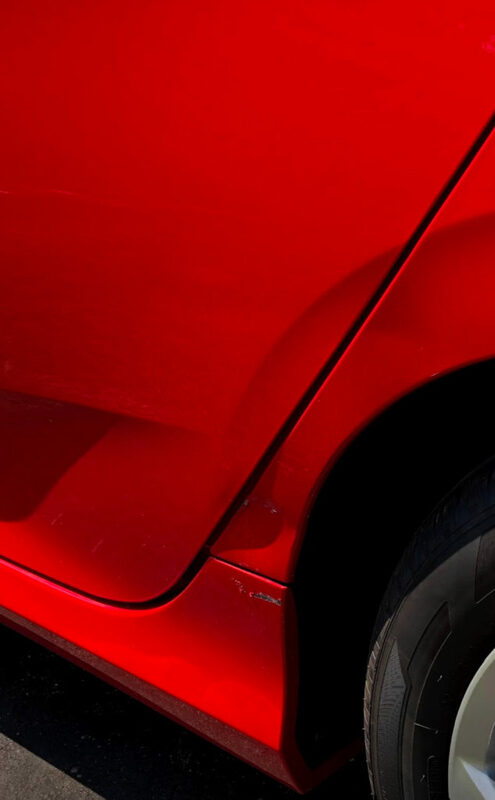 A State Farm policyholder backed into Gerald “Frankie” Spradlin’s 2017 Honda Civic in August, damaging the lower driver’s side rear door, quarter panel and rocker panel. Repairer Three-C Body Shop sought to perform a passenger occupant detection system calibration because of the impact. That system checks the weight of the passenger in the front seat to ensure an airbag can be safely deployed — in some cases, such as a child in the seat, it might be more dangerous to fire the airbag than not to fire it. “OCS sensors have been used on Honda and Acura vehicles since 2006,” Honda collision marketing national assistant manager Scott Kaboos wrote in an email Sept. 27. “I think the OCS check/initialization is probably one of the most often overlooked procedures in the collision industry. In Service Express, using the keyword ‘Weight’ or ‘Weight Sensor’ will bring you to the procedures to check or initialize this system. Three-C process manager David Rice confirmed to Spradlin that the damage to the Civic met Honda’s definition of a collision. However, given the critical safety role of the sensor, Three-C recalibrates it “just to make sure,” according to Rice. “This is a safety feature,” he said. Kaboos suggested repairers should think of the procedure as an “(I)nitialization” rather than a “calibration,” and Honda’s repair procedures describe it as such. “Initialization is when a component has been replaced, like the SRS unit or other ECU,” Honda collision marketing national assistant manager Scott Kaboos wrote in an email. “The act of initializing is to have the ECU’s ‘learn’ and respond to their new environment. Initialize is more of a software configuration and learning process. Rice said no other insurer refuses to reimburse the calibration/initalization, nor do they refuse post-repair scans — as State Farm did in this case as well. He said State Farm made no distinction between Honda’s “check” and initialization operations in its refusal. From the point of view of an insurer or customer paying the bill, the question of a “check” or calibration/initialization might be immaterial. 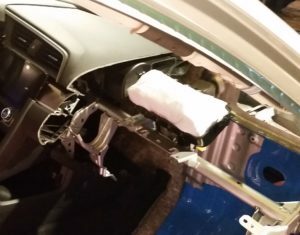 Honda repair procedures for a 2017 Civic sedan suggest that while both operations do have their own unique steps, they seem to impose similar workloads under normal circumstances (i.e., none of the additional troubleshooting steps described in the manual are required). The labor hours — and therefore the cost — might not be very different. • Before doing this procedure, clear the DTCs. • Before doing this procedure, make sure the 12 volt battery is fully charged. • Make sure the front passenger’s seat and all components of the seat are correctly installed. • Make sure nothing is on the front passenger’s seat, including aftermarket seat covers or mats. • Make sure there is nothing in the front passenger’s seat-back pocket. • Make sure the vehicle is on level ground. • When you perform this procedure, the vehicle temperature must be between 61 – 93 °F (16 – 34°C). • When the vehicle is exposed to intense cold or intense heat, move the vehicle inside, open the windows and moonroof (if equipped) and perform this procedure after one hour or more. • Do not expose the front passenger’s seat to sudden temperature changes. • Do not use the A/C and the heater. • Do not touch the front passenger’s seat and keep the vehicle stationary during this procedure. • Do not attach the seat belt tongue into the buckle. The repairer must get the seat in the correct position and ensure with a scan tool the weight for the empty seat is within 4.6 pounds (2.1 kilograms). If the latter didn’t happen, the shop will have perform some additional work and switch to the initialization operation. If either of the readouts involving the physical seat were out of tolerance, you’ve got to perform some more work and switch to the initialization procedure. As always, we’re providing this abbreviated summary for context. Refer to the actual Honda repair procedures online and follow those on an actual repair. He said a refusal to post-scan and calibrate ODS sensors has been an ongoing issue with State Farm for “well over a year,” ever since Three-C became a ProFirst-certified shop. After other State Farm refusals, Three-C has billed the State Farm claimant out-of-pocket, Rice said. Most claimants will pay, “which I think is ridiculous” that State Farm pushed them to this, Rice said. Some customers refuse and are asked to sign a hold-harmless, he said. In a 2016 CollisionWeek video of a NACE 2016 panel featuring multiple OEMs — including Honda — and State Farm claim consultant Chris Evans, Evans mentions the insurer’s recognition of scanning and position statements. “State Farm has nothing to share with Repairer Driven News,” State Farm public affairs specialist Anna Bryant wrote in an email when contacted for comment about this issue.